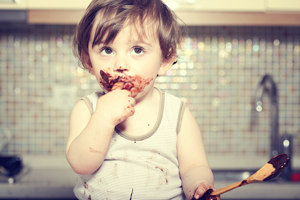 If you have a sweet tooth, you may have read studies talking about the health benefits of chocolate. But our research has found a potential health risk in popular chocolate products that’s been flying under the radar – some chocolate contains toxic metals like lead and cadmium. As You Sow conducted independent laboratory testing of 70 chocolate products for lead and cadmium, finding 45 of the 70 chocolate products contain lead and/or cadmium above the safe harbor threshold of California’s Safe Drinking Water and Toxic Enforcement Act of 1986 (Proposition 65). Based on these results, we have filed notices with 18 manufacturers, including Trader Joe’s, Hershey’s, Mondelēz, Lindt, Whole Foods, Kroger, Godiva, See’s Candies, Mars, Theo Chocolate, Equal Exchange, Ghirardelli, Earth Circle Organics, and more, for failing to provide the legally required warning to consumers that the products contain cadmium or lead, or both. As You Sow commissioned an independent state-certified laboratory to measure levels of lead and cadmium in chocolate products available at retailers across California. The chart below reflects testing of chocolate that was performed in 2015 and 2016. The colors of the chart indicate whether, pursuant to test results, the product requires a warning under California’s Safe Drinking Water and Toxic Enforcement Act. * The asterisk reflects testing that was performed in 2016.